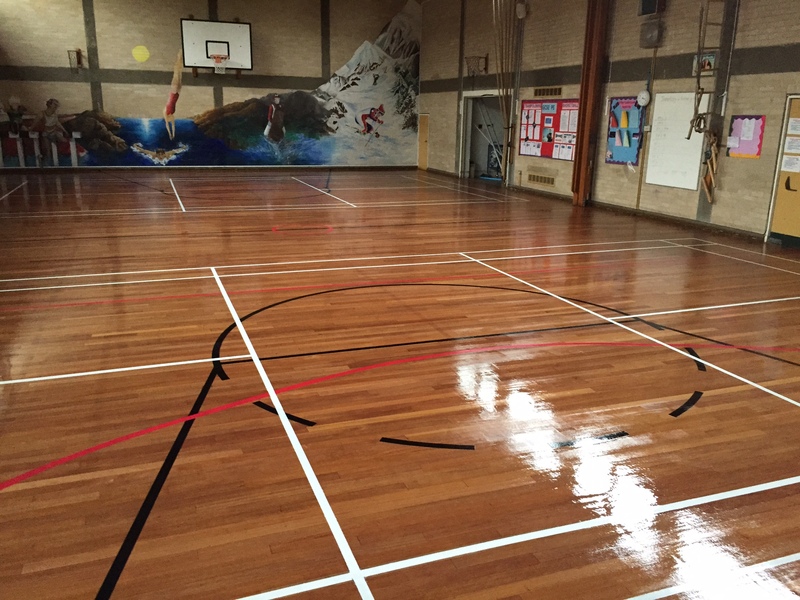 How to renovate a school’s sports floor and finish with the highest quality non slip sports lacquer. Lagler Hummel , Lagler elan, Lagler trio, Lagler buffer, Festool corner sander, Junkers h.p sport lacquer. Two lagler hummels out for the start of st union girls school in Highgate and one man on the edges using lagler Elan. Lots of polish over the years so we started on 24grit, followed by 40grit,60grit and finished on 100grit using our lagler trio. Day three we start by marking out for all the courts to go back on with frog tape and before painting them in and removing all frog tape from the floor. This is followed by a coat of Junkers h.p. Commercial and left overnight to cure. 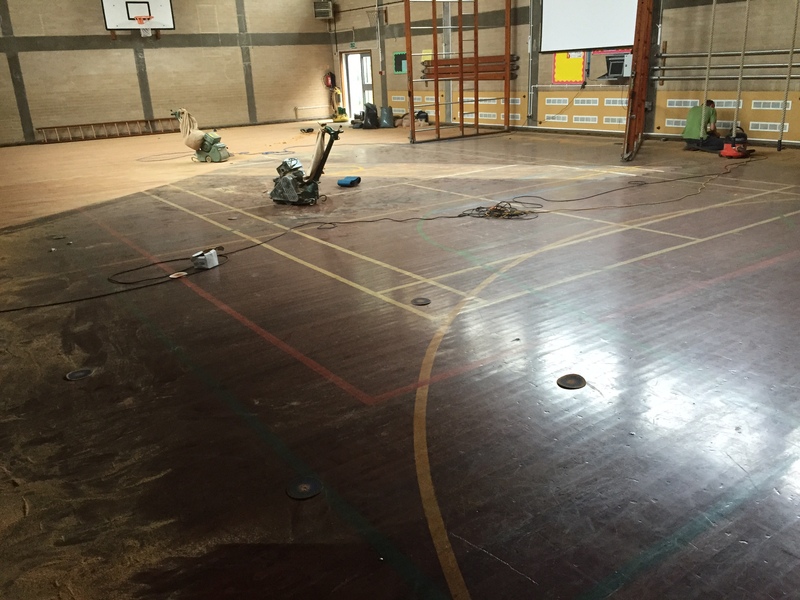 Day four we start by screening off the floor with 150grit mesh screen/Hoover again and finish with another two coats of Junkers h.p. Commercial.